Something to consider when raising kids. “Food allergies have increased over time, with an 18% increase between 1997 and 2007 in the United States. A recent survey of Canadian households found that 8% reported at least one food allergy. 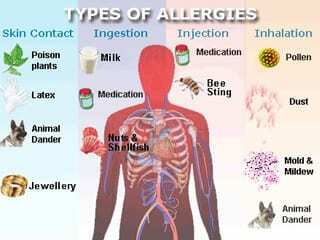 The most common allergens are cow’s milk, soy, peanut, tree nuts, eggs, wheat, fish, shellfish and sesame. Babies with parents or siblings who have allergies, especially to peanut, are at higher risk of atopy. A recent randomized controlled trial — the Learning Early About Peanut (LEAP) study — found that introducing peanut early, rather than late, in high-risk children reduced the risk of food allergy by as much as 80%. However, children at high risk of peanut allergy may benefit from an allergist’s evaluation before peanut introduction.